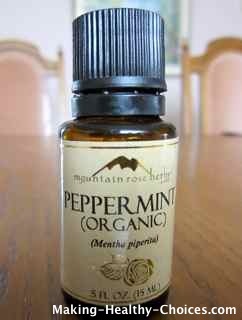 In a warm glass cup add 3 drops of peppermint oil to the water. Place under nose and inhale. It will open up your sinus in seconds, repeat then drink the tea. Be sure to use organic and therapeutic grade essential oils ONLY. Essential oils can be very strong so I would suggest starting with just one drop in a glass first.